When DogSpot launched in Brooklyn, Chelsea Brownridge’s startup attracted so much media attention that venture capitalists started cold-calling her for investment opportunities. Chelsea Brownridge didn’t think anyone would notice a couple doghouses newly parked on Brooklyn streets. The press noticed. Passersby noticed. And soon she and her “dog-friendly sidewalk sanctuaries” were thrown into the spotlight. While the doghouses aimed to be helpful—providing a temporary safe shelter for pets when owners wanted to make a quick visit or run a brief errand inside a venue where dogs aren’t allowed—reviews were decidedly mixed. Though front-page coverage is a prize many founders covet, Chelsea says the DogSpot team (then called Dog Parker) was deluged with responses ranging from dog-lovers shouting words of encouragement to skeptics questioning the safety of the technology. Albeit painful at the time, the critical feedback forced the team to mature quickly and guided needed adjustments to the product, marketing messages, and consumer education. The media attention also brought another kind of attention. “We got a strategic investor very early on who approached us because they liked what we were doing,” said Brownridge. Fortunately, DogSpot’s early public scrutiny equipped the team to address investor questions as well. Now this venture-backed business is installing DogSpot units across the country in front of grocery stores, coffee shops, shopping malls, travel plazas, and other places where dogs are not allowed inside. Dog owners are thrilled, and shop owners with DogSpot houses in front of their establishments are reporting an increase in business. 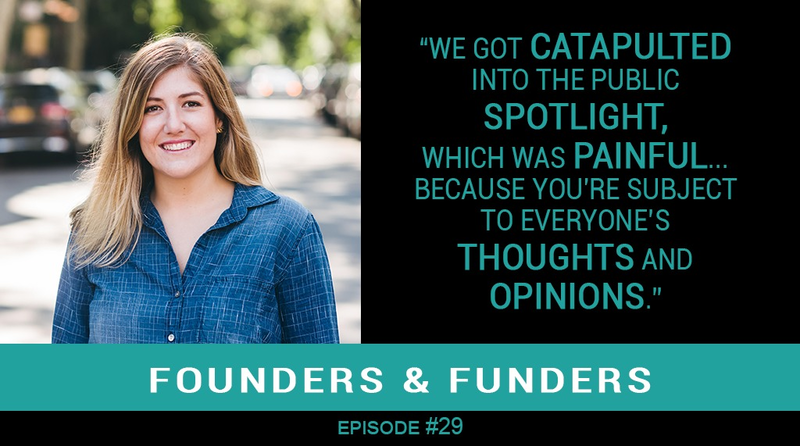 Listen to this episode to learn more about the evolution of DogSpot, the company’s other revenue streams, and what attracted AVG alumni funds Bascom Ventures and Chestnut Street Ventures to the business.